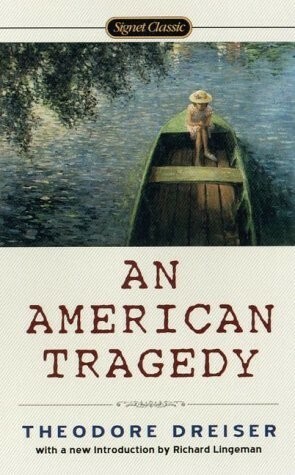 An American Tragedy by Theodore Dreiser (1925).Clyde Griffiths wants to be more than just the son of a Midwestern preacher. Leaving home, he follows a path toward the American Dream that is littered with greed, adultery, and hypocrisy. The brass ring seems close when he wins a wealthy girl’s love, but then very far away when a factory girl he impregnated demands that he marry her. In this disquieting social novel, Clyde faces a moral dilemma that reveals the corruption of his soul and the materialistic culture that seduces him.